TDH and I looooooooove outdoor movie nights. We built a movie screen the size of our 2 car garage door out of PVC pipes and a white sheet. Always looking to improve our outdoor theater we’ve upgraded to big speakers because our movie nights keep growing. 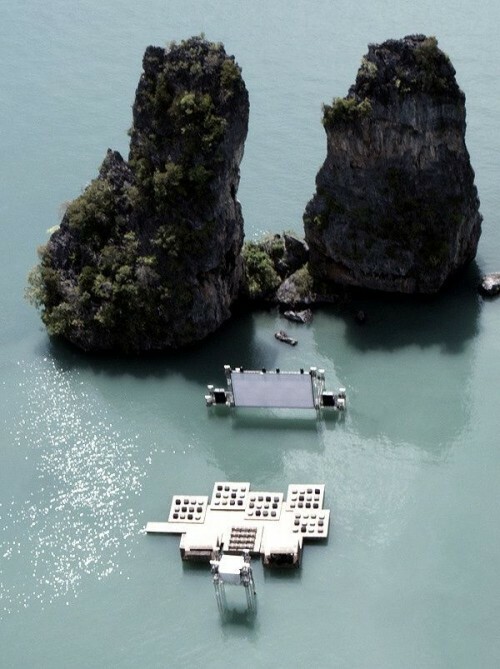 This outdoor theater is on a whole other level! Can you imagine having a first date here? Thailand to be exact. Ocean, movies and Thai popcorn, sounds like a perfect night to me. This entry was posted in beach, Blog, destination, TDH, travel, waterfront, weekend. Bookmark the permalink.